It’s funny, when you read press materials carefully, they can really reveal a lot. For a long while, I was interested in Tile, a little plastic device that you can attach to anything—purse, luggage, bike, cat, keys—and that will track and allow you to find them when you can’t seem to remember where you last left them. According to the Tile press kit, the idea for Tile was simple: a small, affordable device people could attach to the things they didn’t want to lose. It would send frequent, private signals to the owner’s smartphone and the Tile network so it could always be located. The original Tile shipped in June 2014. A little over two years later, we have sold 6 million Tiles and we help people and half a million items each day—a testament to the value of helping people keep track of the things that matter to them most. We’ve heard it all: A little girl found a lost stuffed penguin in Times Square. A guy was able to recover a stolen car in California. One lady found her cat hiding under the porch. From my perspective, I thought Tile was a bit pricey, but after losing my car keys (which I had never lost before), I decided to take the leap. I bought a box of four Tiles that retails for about $79. I had some sort of discount from American Express that brought the price down to about $40, or about $10 for each tile. I put one tile on my cat and one on my keys. The other two are still sitting in the box. So far, I’m not so impressed. Each individual tile links to a device, an iPad, an iPhone, etc. That’s great, but the Tile only communicates to that device when it’s nearby. So, if for example, you want to find the location of your lost luggage, you’d have to be within 150 feet and have the device to which the Tile is registered in order to “ping” the Tile. Otherwise, the tile shows up in the “last remembered place.” Which is not only often wrong, but covers a huge and grossly imprecise area. 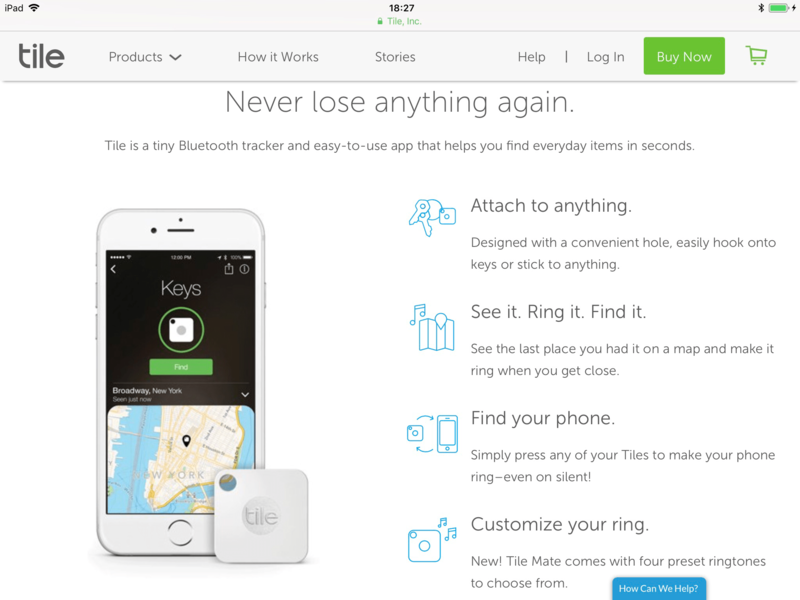 It’s sort of like… yeah, your keys, they’re somewhere in a 5 block radius of your house. 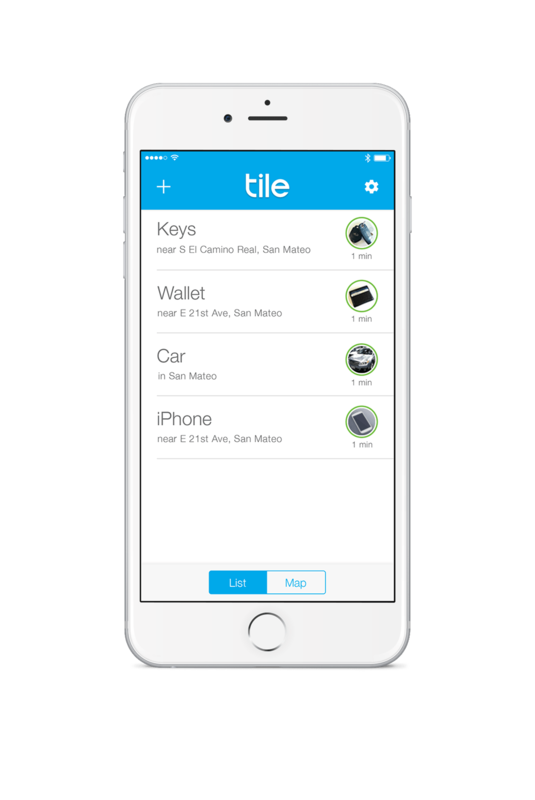 To add insult to injury, Tile uses some kind of old school Bluetooth communication that EATS your iPhone battery. Weirdly, though the Tile is always attached to your device via Bluetooth, it doesn’t seem to update in real time. So, if for example, you, the Tile, and your device all move from one place to another, the Tile app will not reflect that until you “search” for an item, your device pings the Tile, and the location is updated. Worse, in some strange instances, even after pinging the Tile, the location remains at the last pinged location and not at the current location (even if you know it may be sitting right next to you.) So, neither the reliability nor the precision of the Tile device doesn’t seem all that great to me. If you are looking for something and mark it “lost” this magically triggers a secret search among all Tile users and will relay the location of your missing item when it pings the device of someone else. In theory, this is great, but in practice, we had some real difficulty in making it work. 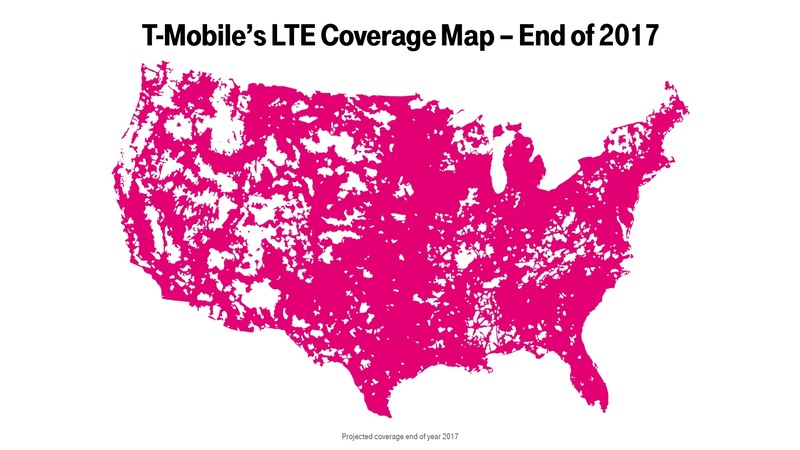 Again, when we could get it to work (about 30% of the time), the “location” covered a HUGE area. Congratulations, we found your lost luggage! It’s somewhere at LAX! Again, insult to injury, it’s like knowing there’s a needle in the haystack, but you still have to sort through the hay to find it. I think that the Tile website is to blame for my general disappointment. The site doesn’t really (or very clearly) explain how the Tile system works. Somehow, I was left with the impression that it was some magic GPS device that could be tracked from anywhere. I’m not sure exactly what gave me that impression, but it sure was wrong. The Tile promotional literature is quite straightforward. 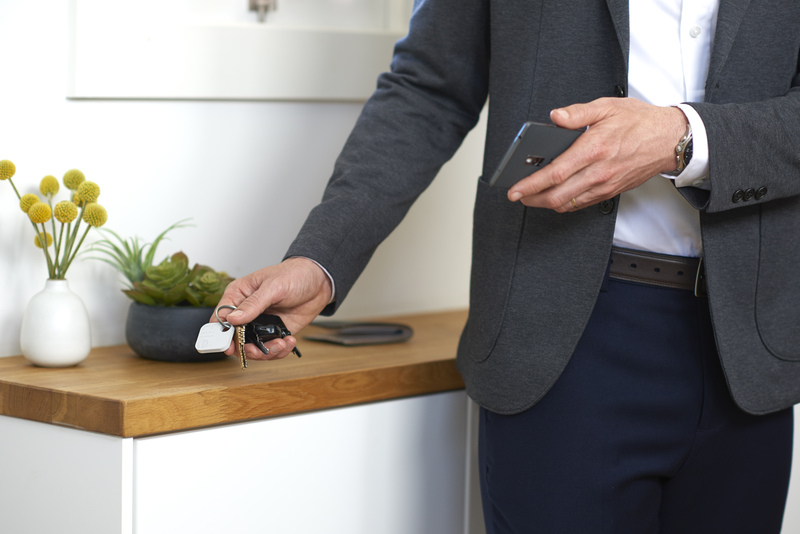 For example, it notes, when marking an item as lost “It would send frequent, private signals to the owner’s smartphone and the Tile network so it could always be located.” It could be. Doesn’t say it will locate the Tile. So, my fault, for not catching that. Tile claims that by pressing the “e” on the actual Tile that your phone will ring. We tried this with both active Tiles and couldn’t get it to work. Not once. Then oddly, I was driving in the car and for no particular reason (my keys and phone were sitting in the cup holder next to me), the “ring feature” triggered. Odd. Overall, Tile seems to be a great idea. The problem is, the actual usability of it needs some refinement. At this point, I would recommend holding off on Tile. Like a lot of tech products from newish tech start ups, it’s marketed well, but doesn’t quite live up to the hype. This is a very—very—cool thing. I’d love to add one to Florence! Plastc: I think it’s a scam. I was out for a run this past week thinking about how much I dislike my iPhone clinking around in my pocket when I run. That made me think about Plastc, that I wrote about a year or so ago. 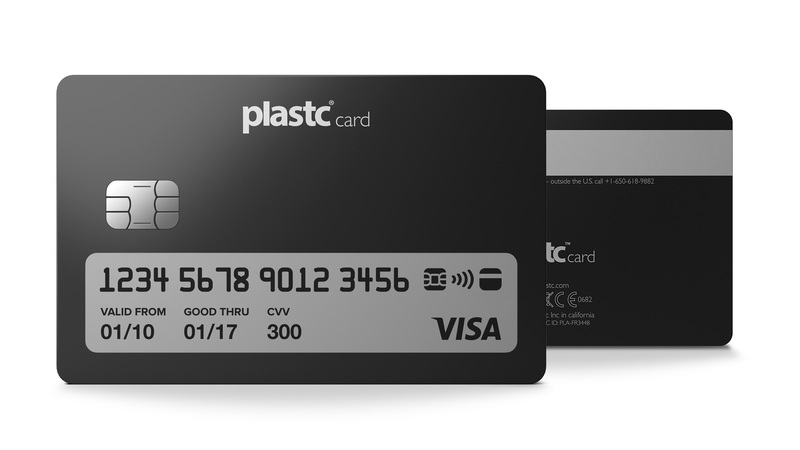 Plastc promised to be a one-stop card that stores all the information about your credit cards on one pseudo-card. As you select a different card, the magnetic stripe, NFC (near-field chip, the chip that allows you to “tap” rather than swipe your card), and EMV chip change to reflect that card. It’s a genius idea. About three years ago, I gladly purchased a Plastc card, which was a kickstarter project and slated to ship a few months later. It never shipped, and the project has been plagued by one delay after another. I’ve eagerly been waiting for the card for more than three years, and check the website from time to time to see if there’s any update. About this time last year, the company announced a stunning delay of more than a year, and to compensate, offered a second card free of charge. They also changed from a card model to a subscription-based model. First, none of these technologies exists. There’s no way to “re-magnitize” a magnetic stripe on the fly; there’s no way to re-key an EMV chip on the fly. The NFC is able to change on the fly, which is what Apple Pay uses in your iPhone and Apple watch. Second, it cost Apple a fair amount to figure out this technology and then how to power it without draining your iPhone battery. Plastc is credit-card thin. There is no way that it can house a battery (again, because none has been developed yet) that thin that can power the card and the processor needed and still fit into a credit card thickness. Just not possible. Apple spent years and millions setting up security agreements and arrangements with banks and financial services companies to get Apple Pay up and running. Plastc is nowhere near as capitalized (or, apparently, motivated) and has nowhere near the clout to make that happen. CurrentC—a consortium of banks and retailers—wasn’t able to make it happen, nor was Google. So what makes anyone think that Plastc, as an undercapitalized Kickstarter project will be able to do it? Which essentially translates into: we’re going to send you a card that doesn’t do anything until we figure out how to make it work and until we can get everyone on board, which may never happen. Which essentially translates into: we’re going to send you a “card” that doesn’t do anything until we figure out how to make it work, and you can’t return it once we send it to you, even if it doesn’t do what we promised (or implied) it would do. Which further translates into: Dear Plastc, get ready for a whopping class-action suit. Which further translates into: Dear Customer, Plastc is a broke kickstarter start-up, and you can’t get blood from a stone. Product design and features may vary at the time of shipping. Meaning: Even though we promised you a credit card sized device no thicker than a credit card—and we showed you that on kickstarter and on our website—you could very well wind up with a device the size of a brick by the time we send it to you, if we send it to you at all. All of which means: you’ve probably been scammed. The latest update is that Plastc will ship in August–September 2016. My prediction: another delay will be announced and no cards will ship. However, I do predict the promised iPhone app will be released, and will have limited ability beyond what ApplePay already does. In the meanwhile, the developers behind Plastc will be laughing all the way to the bank. We will see, but my guess is that all of us patient Plastc’ers are being taken for a ride. Posted on June 20, 2016 June 20, 2016 Author silver slickerCategories Internet of Things, Simplifying1 Comment on Plastc: I think it’s a scam. Wi-Fi Calling on Verizon… is here. Shockingly, Verizon released (or is testing) Wi-Fi calling on their network on the iPhone (I have a 6+) and I’m running iOS 9.3 Public Beta 7. So my guess is that it’s not yet available and that it’s being tested in this beta rollout. The option is available under “Phone” (oddly, not under “Cellular”) in the Settings menu. I set up Wi-Fi calling this morning, and made a test call and it works perfectly with no glitches. After turning the toggle on, a pop up window up (clearly curated by Verizon) appears asking for an emergency contact address for 911 services and gives a variety of warnings about costs and 911 accessibility. 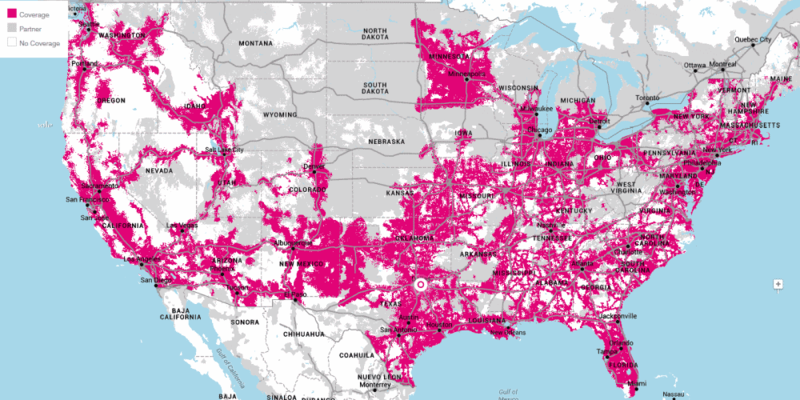 Way to go, Verizon… you’re definitely stepping it up lately! Posted on March 15, 2016 Author silver slickerCategories Internet of Things, Mobile LifeLeave a comment on Wi-Fi Calling on Verizon… is here.